Last summer the manufacturer of my contact lenses stopped making the brand of contacts I had been wearing for over ten years. I was quite bummed because they were a great fit. But in my quest to find new contacts, with each new pair I tried, my eyes started being itchy and red and I was unable to keep the contact in for longer than a day and half. For someone who leaves there contacts in for weeks at a time this was quite inconvenient, not to mention painful. After several eye doctor visits, while taking time off work, and changing solution and contacts I was still having the issue. So last autumn I started wearing my glasses exclusively... until a week ago, when I put in my contacts to take my son to a swim party. Since then I have been back to wearing my contacts (thankfully with no eye issues). The crazy thing is, that even though I don't have my glasses on, I still find myself reaching up to adjust them. At night I go to take them off and during the day I attempt to push them up my nose- but they aren't even there! One time after it happened it made me think of how we are as Christians when we are dealing with our sin. Our sins can really affect our day to day activities not to mention our emotions and reactions. And even if we have repented of the sin and are praying and reading scripture so that Jesus can have victory over the sin, our old habits are hard to break. We must be on guard every day, dying to our flesh (those sin natures we are born with), and living for Christ who gave us new birth making us new creations. How many times do we just react a certain way because we always have even when we know we shouldn't. It's a bit of an over simplified metaphor for such a complex issue as sin, but the craziest things remind me of spiritual things and I just roll with it. And lucky you, because I have a blog, you get to hear (read) about it! 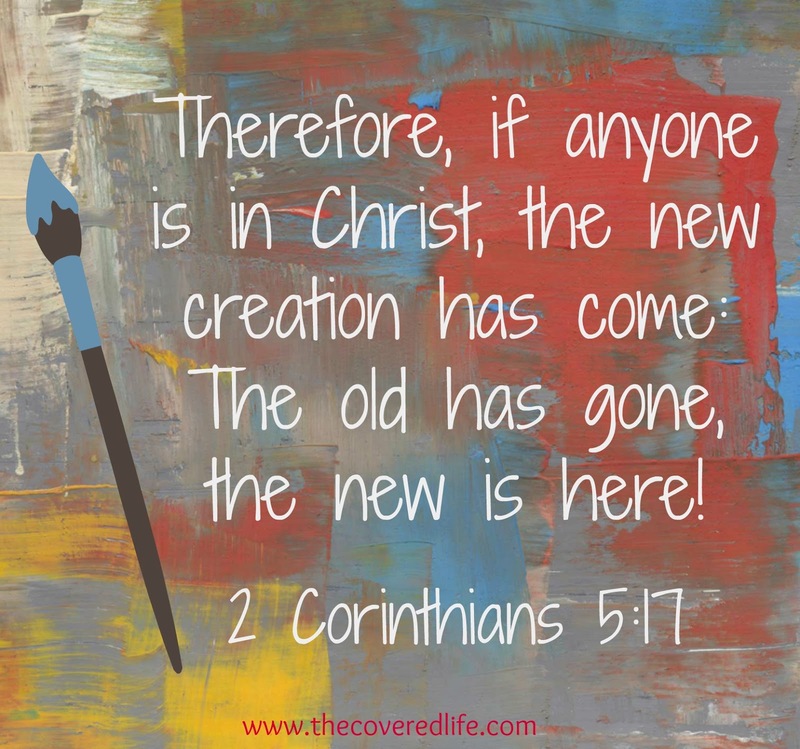 I hope you all have a fantastic weekend and perhaps even catch yourself starting to fall into the habits of your old self and stopping in your tracks by remembering that you are a new creation!